Posted on August 9, 2018 at 4:41 pm. Punters in Norway will no longer have access to 38 gambling applications on Apple’s Norway-facing App Store, as operators behind these apps have no licence to operate in the country. The development, according to news website Adessa, comes after American tech giant agreed to a request from the Norwegian Gaming Authority (NGA). The move is also to purge the system of illegal gambling operations. The blocked applications include Norway-based Automation and offshore brands such as ComeOn, Unibet, LeoVegas, Betsson, Coolbet, NordicBet, and Mr Green. However, several of the scrubbed operators insist their offerings to Norwegians are legal because they are licensed under the EU Free Trade Zone. The NGA, in its takedown request to Apple, indicated that App Store guidelines prohibited gambling apps from operating without licenses. 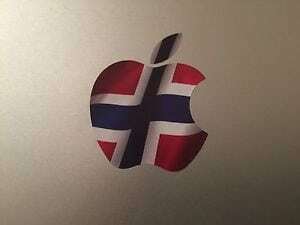 Norwegian Lottery Authority adviser Frank Hoff Hana was full of appreciation to Apple for the decision, saying the move “will contribute positively to reducing the illegal gaming offer aimed at Norwegians”. However, gambling operators are not convinced the removal of the apps is the right solution to illegal and problem gambling in the country. The chair of Cherry AB, Morten Klein, said the purging would rather result in more problem gamblers and create a false impression for organisations and politicians fighting compulsive gambling. He instead suggested that Norway should follow in the footsteps of neighbouring Denmark and Sweden by introducing a licensing regime for gambling. “The Lottery Authority should also look at how to regulate the gaming market,” Klein said.